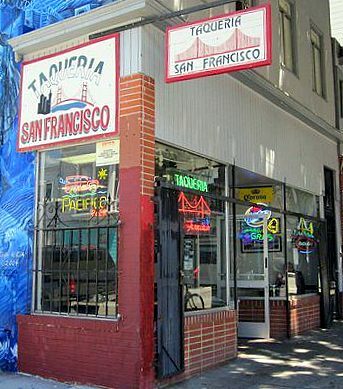 Taqueria San Francisco opened its doors in 1990 at its current location on the corner of 24th Street and York Street in the heart of the historic Mission District. Since day one, the owners have aspired to offer fresh and delicious food with reasonable prices and friendly service in a fast manner. Juana Alicia, a renowned artist, was a key element in the appearance of the exterior of the restaurant; she painted the mural on our building known as "La Llorona's Sacred Waters" in 2004. The Mission district is known for being the heart of the Latino community in San Francisco. Its streets are lined with various cafes and restaurants, including other taquerias and Mexican eateries. Taqueria San Francisco has continued to succeed in the face of such intense competition in the Mission district. A large part of this success can be attributed to Taqueria San Francisco's legion of loyal customers who return time and again to enjoy a meal from their favorite taqueria. After all these years, we continue to derive satisfaction by offering our customers food that has been prepared with the freshest local ingredients and in a timely manner. We invite you to come visit us and try our delicious tacos, burritos, quesadillas, enchiladas, seafood, tamales, and all our other delicious plates in our extensive menu.